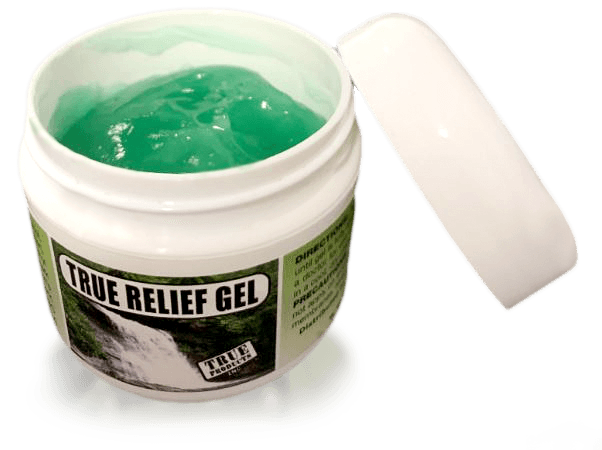 Specially blended to work in conjunction with the True Back, True Relief Gel is a topical gel, a natural pain reliever to soothe muscle and joint pain. Whether you suffer from chronic pain, or onset of inflammation this gel has the ability to be quickly absorbed and give relief to pain and discomfort. Free 2.1 ounce jar when you pay for shipping. 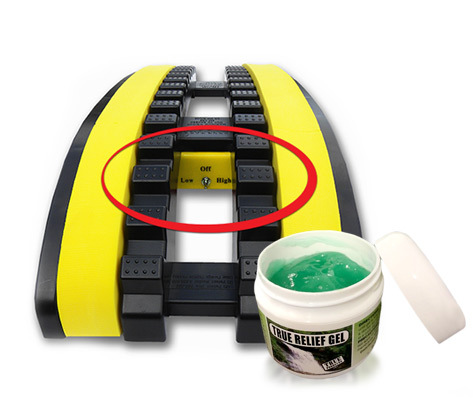 GET MY FREE TRUE RELIEF GEL NOW! What is TRUE BACK and how does it work? The unique patented design of TRUE BACK is quite simple: while lying on the device the spine floats in the center channel. The 30 suspension points molded into the center rails support your body weight and create pressure to the muscles which are located on each side of the spine enabling the muscles to relax which increases blood flow. You are passively stretched in opposite directions while being supported in the correct position, stretching your spine naturally. TRUE BACK will reduce your pain OR Your Money Back! TRUE BACK is so good, we don’t just offer 30 days, we offer a full product refund 90 day money back guarantee (minus s&h). Remember you can get your money back with TRUE BACK, but you can’t get back the precious time you lose to pain. Start today and get your life back! TRUE BACK (both models) come with a Lifetime Replacement Warranty for manufacturer’s defects for breakage with normal and suggested use. If the above product(s) has a manufacturer defect the item(s) may be returned for repair or replacement at any time. We’ve got your back for life! Choose from 3 amazing offers! Topical analgesic, a natural pain reliever to soothe minor muscle and joint pain. 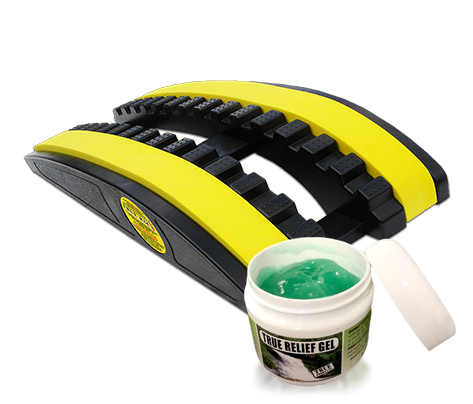 Reduce and eliminate back pain, spasms, sciatica, cramps, stress and tension. by stretching your spine naturally. Vibrations concentrate to the pressure points of the TRUE BACK to achieve a deeper tissue massage to the muscles, neck, shoulders and back. © 2018 TRUE BACK. All rights reserved.